Sno-Tek by Ariens is a line of Ariens snow blowers that are great snow removal machines but with fewer features than comparable Ariens models. This makes a Sno-Tek snowblower a more affordable option for people who want an Ariens. 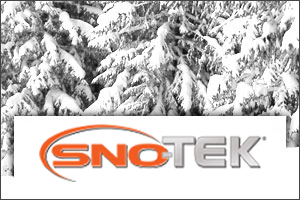 All Sno-Tek two stage snow blowers feature 208cc LCT Storm Force OHV engines and steel serrated augers. Sno-Tek by Ariens has a robust single stage model, the Sno-Tek 22E, that features a 205cc Briggs & Stratton engine with a healthy 22 inch clearing width. Like all Ariens snow blowers, the Sno-tek line is also equipped with a 120 volt electric start system with recoil back up. Simply plug into an electrical outlet and push a button. You're ready to snow blow! Recoil starting is a thing of the past. 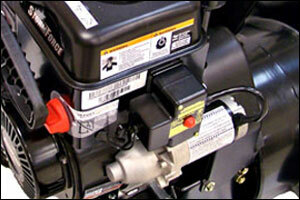 In colder temperatures, you want the quick, but reliable action of an electric starter on your snow blower. 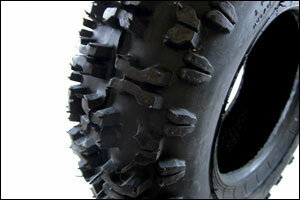 The Sno-Tek two stage snow blowers ride on aggressive Polar Trac tires. Depending on the model, the 10"x4", 13"x4", or 15"x5" inch Polar Trac tires keep you attached to the ground for maximum traction. These tires make maneuvering much easier, especially through ice-packed snow. Deeper more aggressive tread digs into the snow, saving you from embarassing slips and slides. 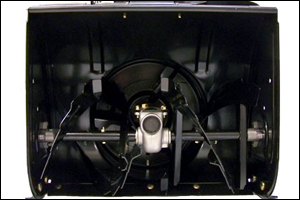 The two stage Sno-Tek snow blowers use a 12 inch, 3 blade high-speed impeller to discharge snow out of the chute. The combination of this high performance impeller and the steel serrated auger allows these snow blowers to cut through deep snow with minimal effort. The impeller is also freeze resistant with enough power to throw snow up to 40 feet. Clear snow above and beyond the sides of your driveway. Single Stage Snow Blowers Single stage snow blowers use only one step to throw snow. The auger scoops the snow off the ground and in the same motion throws it out the chute. Single stage snow blowers are ideal for lighter use (under 10" of snowfall) and are typically easy to maneuver due to their lighter weight. Two Stage Snow Blowers Two stage snow blowers use a metal auger to scoop the snow off the ground and feed it to a high speed impeller that blows the snow out the chute. Two stage snow blowers can handle deep snow drifts, are self-propelled, and clear a wider path than single stage snow blowers. Consumer Snow Blowers Consumer snow blowers are made for the homeowner who needs to clear snow but does not want to spend more money for the extra features and durability that come with prosumer and professional snow blowers.